My little Henry has four big loves in his life, Dinosaurs, Cars, Music and Lions. 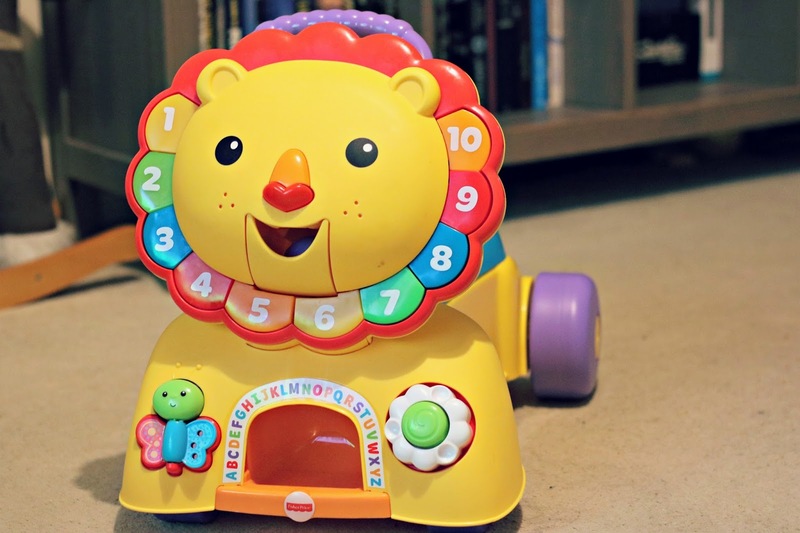 So when I was asked to review the Fisher-Price Stride & Ride Lion, we immediately said yes. 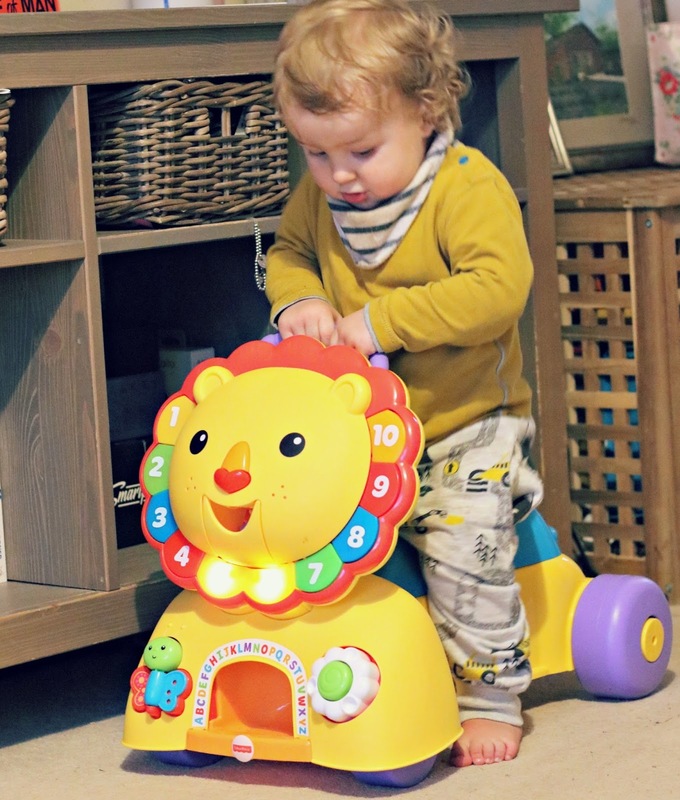 This brightly coloured lion offers a range of activities to keep baby's who like to be on the move completely entertained. The ten light-up buttons, cleverly designed around the lion's mane that when pressed start up fun songs and phrases. What's more, they're educational too, focusing on colours and numbers. 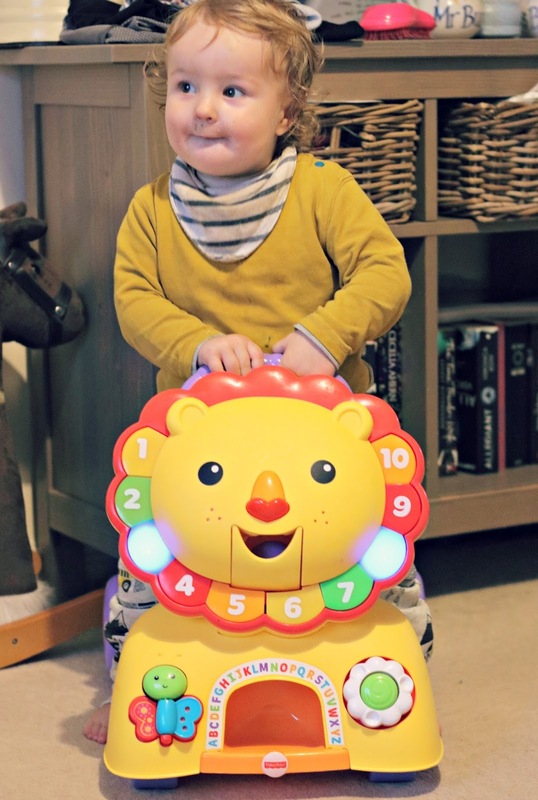 The nose also lights up and his mouth opens too, to encourage hand-eye motor skills.The lions back act's as a ride-on for baby, so they can scoot around to their heart's content (Henry's favourite part). Lastly, the seat can pop up to become a handle that baby can push and walk if you're trying to encourage walking. As I mentioned, Henry loves being able to scoot around our house pretending he's half lion, half Valentino Rossi (much to his Dad's enjoyment). He can easily climb on and off and has really developed great motor skills with the aid of this toy and I love seeing his growing confidence as he navigates around our living room. Being a lion lover too, he adores nuzzling the lions faces and opening his mouth to feed him "treats" as his sister says (they're actually balls!). This toy is perfect for babies aged 9 months plus and would make a brilliant Christmas present for those little explorers. You can pick them at Argos, currently £59.99.